Some people are planners by nature, and they love to watch over every little detail as it happens. This is certainly true for many who host events, as they want to make sure they go off without a hitch. It can be hard to sit back and relax if you’ve got a big event coming up. You might worry about your event lighting, your audio visual needs like big screens and sound systems and, as host, you might even have the extra burden of memorising a speech or toast. But did you know that your event can be presented to you almost completely – before it even happens? 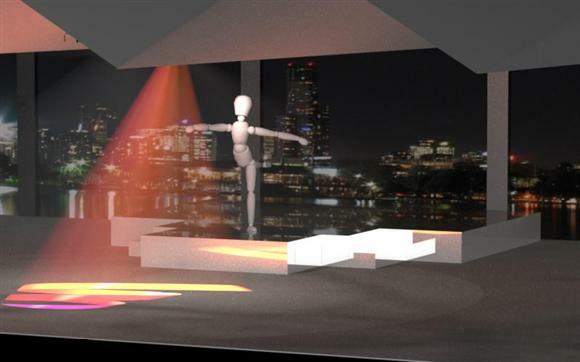 With a 3D rendered event planner, the event of your dreams can be visualised right in front of you. The visualisation will include all the little details such as venue, your drapes and decor, tables, visual and audio technology, furniture, tables, chairs and more! You’ll be able to see a visual representation of the event as it is planned to happen on the night. Play around with your desired floor plan and seating arrangements and see how many guests can comfortably fit on the dance floor. Experiment with your event lighting to check when exactly you want the spotlight to come onto the speaker, or how late in the night you want the strobe light party to begin! If you want confidence in your event and peace of mind that it will run smoothly, visualising the event beforehand is a wise idea. You can fuss over the details and have creative control, but still have time to remember your speech and enjoy the event, rather than experiencing anxiety over technical troubles like screens and sound systems. Breathe a sigh of relief as you know you’ve seen it fully visualised and working to plan, safe in the hands of professionals. Get in touch today see how a 3D Render will help you visualise the event of your dreams!